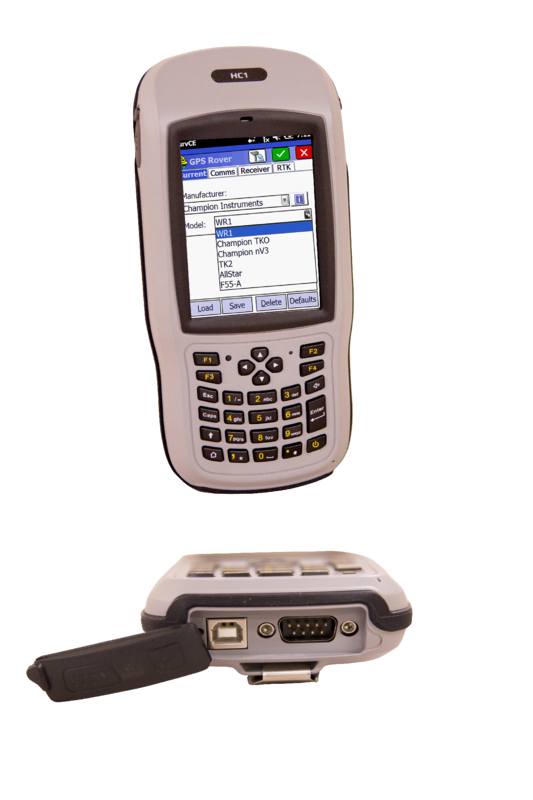 Our fourth Champion Data Collector, the HC1 is ready for use; application possibilities in power companies, agriculture, and geological industries, forestry, field service, GIS/Surveying, and more! The HC1 works with Total Stations, GPS Receivers and Robotic Surveying Equipment Using Long Range Bluetooth or external radios connected through the 9 pin serial port. Built in mapping grade GPS gives GIS applications the 1.5 meter accuracy they desire at a fraction of the competitor's price and an integrated 5 Mega Pixel camera allows for asset verification. The internal GSM modem offers seamless wireless internet access where GSM service works well and the built-in Wi-Fi allows connections through hotspots where GSM service is unavailable. •	6,500mA Battery - Lasts All Day! Champion, Champion HC1 are trademarks of Champion Instruments, LLC.